Some of the best presents come in wrapping we are not sure is for us. 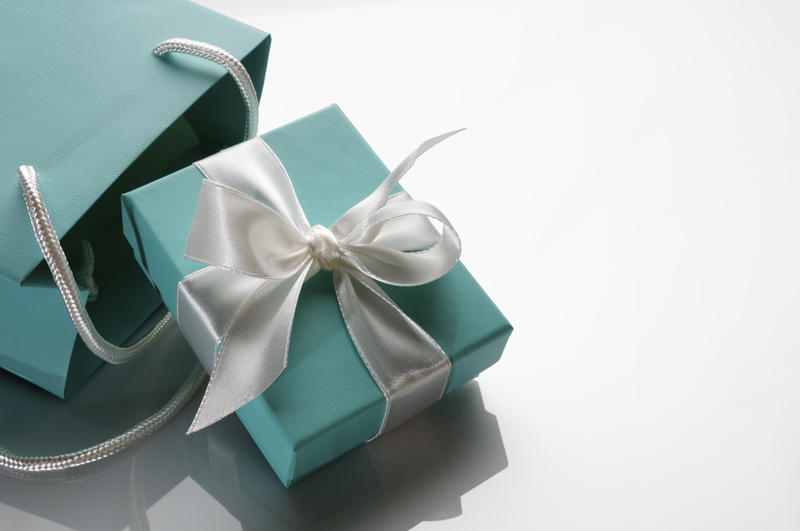 If we have asked for a shiny diamond in a Tiffany’s blue box with a white ribbon, that is probably what we look for under the tree, in the stocking, on our pillow. So, if what we see there is a large box with bright wrap, sans bow, our initial reaction might be disappointment. This is not the diamond I asked for, we think. We might be tempted to return the gift without opening it, stick it in a closet, open it and sigh disappointedly. Some of us, though, might be open to the surprise that awaits us. Hmmm, we wonder. Could this be a diamond in a very large box? Or is it something different? Maybe something just as desirable? I find the present analogy apropos as I talk with my friends. Those that are dating and so sure they know exactly what they want and what it should look like. And if it does not come in the Tiffany’s box with the right white ribbon, they do not recognize it. Put another way, he must be six feet tall, make a certain amount, love dogs and her cooking, travel extensively, order the right wine, golf within a certain handicap. Some do the same with their children. They assume a child with a certain intelligence, no learning disabilities, nonexistent behavioral issues, an aptitude for the violin, a less than six-minute mile. When the “wrapping” does not look like this vision, they seem stymied, wondering if babies were switched in the nursery. I have learned, in life, sometimes we get what we need rather than what we want. And it comes in packaging we would neither have recognized nor asked for in a million years. And sometimes, part of our journey means we have to decide whether to take a risk on unfamiliar wrapping. Occasionally, we find a diamond inside more beautiful than the one we imagined. Other times, we realize we have unwrapped a present not made for us. Or one that will require us to change to be able to accept it, as in the case of a child with special needs. Sometimes the point is not the present itself, but the learning we go through as we decide to risk or not, to open or not, to keep or to return. Wishing you wisdom, friends, as you decide on the gifts meant for you. Previous Post Enough? Hell, yes. A beautiful post. Yes, those gifts given of what we need. There is such truth in that. Wow, such a profound post. I know single women who rant on about no good men, but when you hear their wish list, its 256 items long. No man could possibly have all those qualities. I also know parents who have a tough time seeing their quirky child in an accepting way. As you write, they’re all gifts. We have to get past the wrapping. I love this. That’s a new one to me but I like it! I guess I need to finally read The Hitchhikers Guide . . .
You do! Just remember 42! Beautiful words! I feel like I am constantly unwrapping myself, my family and friends. Occasionally I try and wrap them back up how I like but it never works. Lol, Kristine. I know that feeling. You can’t make a square a triangle, can you? 🙂 And it’s such a lesson in not being in charge! SPOT on for me today – thank you for your words of wisdom and beauty. I have two adopted children… not the way I wanted “motherhood” but is THE best gift I have ever gotten in my life. I also have a child with learning challenges – again – not what I wanted but a true rare gift that I absolutely would never return! THANK YOU for reminding me – blessings and gifts are not always what we thought we wanted but truly are gifts in and of themselves for how they mold us, shape us and transform us into something we never imagined would be so bold beautiful and awesome! Expectations can cause us to stumble. Suspending judgement can bring all sorts of surprises. I love this post, Kay. It is so true. Many times, despite ourselves, we have expectations and when they are not met in the way we want (or think we want) we don’t even give them a chance. Oft times, these are the best ones to receive. We learn, we grow, we blossom. I’ve had my share of “unwanted” (should really be unexpected) gifts that were the biggest lessons and the most love-filled. Here’s to accepting what is without expectation, Dale–you and I both:). So true Kay, it is the meaning within that gift, and that meaning is how we view and utilise, or not, that gift. When given a gift from a small child, it may be rough, tattered and scruffy…but it was made and given with a great love to the parent. And we know that within, even though the present itself may not seem much, we know the meaning behind it by the gleam and love in the child’s eye. I was given a gift once, it was the most horrid thing that I could have ever imagined. But now, in hindsight, the meaning I had taken from it, I realise it had given me the most beautiful discovery, and opened the door to my healing which is not just an individual thing, but something that changes the lives of many, which then changes others as well. All from something I viewed with horror. Those moments have great meaning, good or bad, as they guide us ever onward to realise the wisdom in our hearts. Great post, your journey is opening someone’s heart, and seeing things from a much different perspective….because of what you have gone through. At the time, viewed with distaste, but now wisdom and a higher love for self can see its beauty. Oh Mark I know you know that of which you speak. You and I have both received ugly and found the beauty in it but I must admit my very human side wishes that ugly doesn’t revisit. That is why we are human, to see and feel all sides of the equation. And when understood, ugly no longer has that affect. It can revisit till its red in the face, you no longer react because of the wisdom you have gained. And each time you step a little closer until unconditional love is the norm. Total giving, and no longer reacting to anything because you no longer have fears on board. You understand that they have allowed you to realise the fears within, and release them. Once done, nothing is dragging you around with a weight on your shoulders, and on guard to it suddenly jumping out of the shadows. You totally detach and are no longer anchored to this world for any more ‘lessons’. Which gives you a freedom unlike anything you can imagine…and this allows you to give from such a beautiful place…and gives you back such a feeling of inner love that you want to give more.